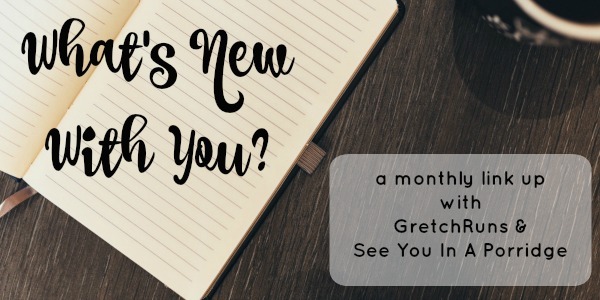 Welcome to the very first "What's New With You" link-up! This is all about sharing what's going on in your life, and I can't wait to catch up with all of you! Make sure you check in with my co-host, Kristen, to see what she's up to. Last week, Dan and I put in an offer on a house that we really liked! It seemed perfect to me- great location, at the end of a quiet cul-de-sac, plenty of storage space and a huge back yard. We ended up in a bidding war with another couple, and nearly got the house but couldn't move in as early as they wanted, so we passed. I was disappointed at first, but now I'm realizing all the things that weren't great and I was willing to put up with- walk to bus stop was down a busy road with no sidewalk, the flat yard ended at a cliff which would scare me with Selma running around outside, the bedrooms were tiny and so was the kitchen. Now that Dan and I went through the process of putting in an offer and getting close to owning it, we learned a lot and are going to be able to make better choices next time around when we find the right house. I also learned that I should see the bad things about a house and not just fall in love and ignore warning signs! I successfully completed the Whole30! My final day was on Tuesday, and I am proud to say that I didn't cheat or crack at all. I'll be posting a more thorough review of the program and my thoughts, but I wanted to share a few today. This wasn't really a big challenge for me, which surprised me. I think it worked so well because I love to cook, and I've wanted to get better about meal planning and prepping. This program forces you to do all of that, so it was a great chance to get my act together! It felt good to pack my lunch every day and not go out to restaurants- and my wallet is thanking me as well. To treat myself on Day 31, I baked Martha Stewart's Flourless Chocolate Espresso Cake (which was FANTASTIC) and tried a Suja Juice for the first time. I'm not planning on going crazy and changing my diet back right away. I'll still be eating the majority of my meals following Whole30, but won't be as strict when it comes to checking labels and eating out. I'm hoping to keep up my habits of meal planning and packing my lunch every day and eating lots of fresh vegetables, fruits and meats! Have any of you heard of the virus that's going around in South and Central America? I've heard bits and pieces about it, and Dan is a bit concerned about it since we're getting married in Belize in a few months. After doing some research, it seems like the virus isn't too dangerous- symptoms last for a week and aren't life threatening to normal adults. I would be more concerned if I were pregnant (or planning on getting pregnant soon), so I'm hoping we'll be alright. I'm not one to get worried about things like this, but I decided to be safe and get some products to protect against mosquitoes while we're there. We'll be doing a lot of outdoor adventure-type activities and staying for half of our trip in the middle of a jungle, so better safe than sorry, right? I purchased two natural bug repellents- Beat IT! and Invisiband. I'm hoping these keep us safe, and neither of us get the virus or bring it back to the U.S! Do you think Dan will appreciate this as a Valentine's Gift? "Happy Valentine's, fiance..here's some bug bracelets!" I know, I'm such a romantic. My one year blog anniversary is coming up at the end of February, and I want to do something special! I'm thinking about doing a giveaway of some of my favorite products, and I would love suggestions on what you would like to be included. Are there some new products out that would be a fun addition? Is there anything that you've been wanting to try that I can include? Please leave me some suggestions so I can start to get the prize together! Your turn! Link up any recent blog post to let me know what's new with you. Please include a link to Kristen and myself. Stop around at some of the other links and make a new blog bestie! P.S. Post contains affiliate links. Thank you for your support! We didn't end up getting the house unfortunately! But I'm already planning some designs out :) Good luck on the Whole30! If you need any help or advice let me know. fun link up! house buying is so challenging but such a learning experience! Challenging- YES! haha! I hope I'm learning! Sorry the house offer didn't pan out, but it sounds like it's for the best! I remember going through that too--falling in love with a few and them not working out for different reasons. I believe those were just part of the process of those houses not being for us. You and the right house will find each other, so it will be worth the wait! LOL on the bug bracelet and bug spray for Valentine's Day! Thanks for hosting this linkup! I think everyone goes through that! I knew it couldn't be that easy and get the first house we liked, so it was expected. That invisaband is a great idea. I hope it works! You learn SO much through house hunting. Don't give in on the things that are important to you! As for giveaways, I feel like we have similar taste so anything that you'd include would be great! Love this link-up! Thanks so much. Please let me know if you're ever looking for a co-host. Cheers! I'm so glad that you joined us Emily! Love all of the recipes you've been sharing! Sometimes you need a test drive through a process, right? I've never gone through house hunting (though we are apartment hunting), or watched my parents go through it (we lived in the same house my whole life until they sold it and moved into the lake house that we built when I was 2), but I know the struggle. It is fun.... for a bit. Yes! This was a great practice run. I hope we can keep it fun and not get to the point where we argue or get angry! Go you for completing whole 30. Thats amazing! As for the house I hope you guys do find the right house for you and that the process will be smooth! The house hunting process is a roller coaster. We had a few offers that weren't accepted and we ended up where we should be. I hope the same happens for you! I hope so too..thanks for the encouragement! So glad to hear you treated yourself to some chocolate cake after your whole 30 program! You deserve it! And yes, the Zika virus stuff is all over the news! Glad you are taking some preventive steps! Thanks for hosting the new linkup! I'm hoping I can keep up with the topic monthly since I really enjoyed putting it together. Mmm. That cake looks delicious. I too celebrated the end of Whole30 with some cake, but it was just that plain ol' box mix kind. You win! And congrats on NOT getting the house. You'll find the right one & it will be worth it. For as much $ as those things cost it should be perfect. I've been wanting to try that recipe forever, and I'm glad I did! It was easier than it looked and SO good! House hunting is hard! Glad you didn't get the house, since there would be stuff you would not love in the end. Sometimes things work out for a reason. yay! i'm glad you didn't get that house (that sounds bad) because it definitely sounded like it wasn't the right one for you. we almost bought a house that i thought was perfect but then someone else bought it and i saw all the issues as well, so i am SO glad we didn't buy it. the only thing it had going for it was the location, really, i was glamourising everything else and i'm happy with where we are now. okay, so i keep hearing about this virus, and i know it says 'planning to get pregnant' which i am not for at least a year, so does it not do any future harm? it's only if you are planning in the near future? or are pregnant? i don't want to cancel our cruise, and i don't want you to cancel belize either lol. i also saw those products on shay's blog so you'll (and she) will have to let me know after your trips that you didn't get sick and then i will buy them haha. aw shucks thanks for the shout out about the button, you are so sweet! happy almost blogiversary, i have no suggestions but yay! I'm glad we didn't get it now too. The more I think about it, the more I see wrong! House hunting is so difficult - I've been there time and time again. We've also been on both ends of a bidding war. It's just as difficult to the seller as it is for the buyer. Some things just happen for a reason and I'm glad you were able to see some downsides to that particular house. Also, great job on the Whole30. That's definitely something I have not been able to do. Wow..that's a bummer! Good luck finding your REAL perfect house! eek house hunting is so fun! and congrats on finishing the whole30! feels so good when eating all clean, right? and suja juice - love love them. my fav juices for sure! Thank you! Feels SO good to eat clean! Not getting this house will make finally getting the one you do buy even more special! Congrats on finishing Whole30 too! I'm excited to hear all of your thoughts on it. Found you through Mattie's blog. House hunting is tough! There are times I wish I could go buy and tell my former self to wait on a house. I bought when I was 20 and single (just broke up with a longterm boyfriend), and a little foolish. I bought a house thinking it would be just me in it. 6 months later I met my husband, and we added a few more to the house, a baby and a cat. So we are crammed in here like sardines but it wouldn't be home if it wasn't. Everything happens for a reason so it's good that you didn't get that house because I bet your dream house is right around the corner! A few people have mentioned the whole 30 challenge, what is it? Is it eating healthy for 30 days straight? Similar to the 21 day fix? Thanks for stopping by! That's great advice to follow, and I hope the right one comes along. I followed up your other question in an email to explain it a bit more! I'll definitely be sharing more! Congrats on your Whole 30! I am a Whole 30 lover and totally agree that being comfortable in the kitchen is key to success. But for those that aren't, it's a great opportunity to force yourself to learn! Thanks for hosting the linkup! 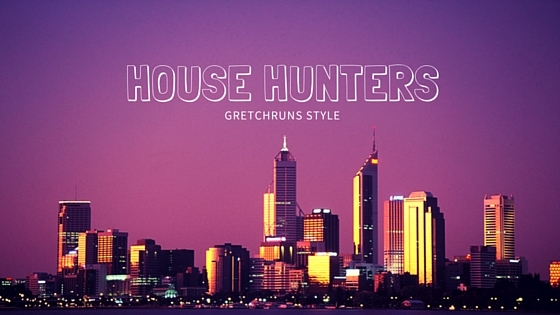 I'm looking forward to reading more about your house hunting. Thanks Carrie! Glad that you also love the Whole30! Kat Von D eyeliner!!!!!!!! Pretty cool that you're blog-versary or whatever it's called is this month! You've done such a great job. Woohoo! The best eyeliner ever...I'll definitely add that! I love Suja juices but wish they weren't so expensive, or I could find them on sale more often. The flourless cake looks amazing, congratulations on completing Whole30! ME TOO. So good but more than I want to pay! We had a house purchase fall through last year too, and it turned out to be the absolute best thing. Thinking about what would have happened if it had gone through honestly brings me out in a cold sweat! I really hope you find the right house for you at just the right time. As for Zika, I think only one in five who are infected with the virus go on to actually get ill. The illness itself is just like a cold, so inconvenient but nothing major. It's only a cause for concern if you're pregnant or might be pregnant. I don't think it stays in your system so doesn't affect future pregnancies. That said I'm no doctor and I think they're still researching it so DEET it up I say! Mozzie bites are a pain regardless! Thanks Rachel!! You just made me feel SO much better on both accounts! Wow that is exciting and congrats on all of the housing things and also for completing Whole30. That is huge. I am impressed that it wasn't as difficult as you anticipated, I believe I would have been struggling a lot. I got so excited when I read the first paragraph, but that's a bummer the offer didn't work out! At least now you know what to expect, which honestly I think is the most intimidating thing about house hunting. I'm the same way as you - every townhouse we look at I fall in love with, especially if it's near my favorite running trails. Congrats on completing Whole30! That cake looks so delicious. I'm glad you treated yourself! I guess I should have led off with "We didn't get the house..." to not get hopes up! While I haven't purchased my own home, I have consistently heard from people that it works out as it should. That wasn't your house because yours is still coming! Good job on the Whole 30, I see that all over the blogland these days, sounds like an intense program! Good on you for not cheating once. And very excited to get married in Belize!! That's where we honeymooned. I haven't researched much about the Zika virus but from what I read it sounds pretty crazy. But I feel like these things are always amped-up at first. Thanks for hosting! Thanks for the comment Caitlin! Hoping it works out, and I'm so excited for Belize! House hunting is so stressful but like so many other things in life, when you know, you KNOW! And as far as giveaways, I love it when bloggers give away a collection of the little things they swear by like makeup, coffee mugs, or a regional treat - something not to big but something you wouldn't necessarily buy for yourself! I hope my intuition doesn't fail me! Thanks for the suggestions..some great ideas! Congrats on finishing the Whole30! That's serious business. I've done it a couple times and it's no joke. I need to check out those wrist bands! We've been stocking up on pretty much everything DEET makes lately to get ready for our trip. I hate dousing myself in chemicals, but I'm not chancing malaria. Mosquitos are terrifying! Thanks Carly! I agree..hope you stay safe! Thanks for stopping by and commenting! Love using Trulia! There is always a reason why a house doesn't work out and it is always for the best!!! I know I learned a lot of things with our first home and things that I wont settle for in a new house. Congrats on Whole 30!! I will have to check out that flourless cake recipe!! 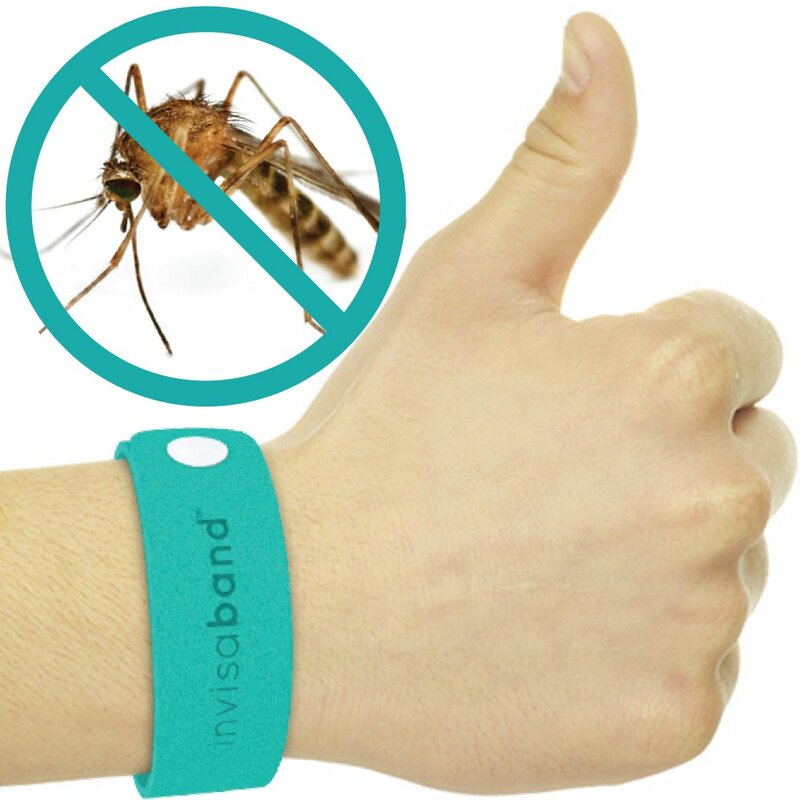 And those bug bands sound like a really good idea. Thanks for the advice and encouragement Nadine! I love this new link up! Sounds fun, i'll have to join sometime :) Also congrats on completing the whole 30 without cheating! Thank you! I hope you join next month! House hunting is so hard but it sounds like it's for the best that you missed out on this one. The right one will definitely come along! SO cool that you're getting married in Belize! That was on our short list for our honeymoon (we ended up going to Mexico). We've done a lot of city trips since then and haven't really taken a tropical vacation since our honeymoon, but I'm hoping that our next one will be to Belize! That's so cool! Hopefully my pictures from the trip will inspire you to go :) Hoping that it's amazing! been hearing a lot about that crazy virus and the effects it could have on newborns. congrats on finishing the whole30 challenge!! i loved reading about everyone's updates. Hoping you guys find something great in the house hunting process! It's such a happy/stressful time! I'm glad I found you through this link-up! Thanks for co-hosting! Belize is on my list of future travel destinations (though I really love traveling, so a lot of places are on that list!). I'm usually not a fan of tropical/beach vacations, but Belize really seems like a very cool, very beautiful place. Congrats on finishing Whole30! I honestly don't think I could do it, so I've never even seriously considered trying it. I think it's amazing to see others successfully complete it, though! Thanks for stopping by Kristen! I'm hoping that Belize is similar to Costa Rica..which was beautiful and SO much fun! Thanks for co-hosting a new, fun link-up! Congrats on your whole30 accomplishment. That takes quite a commitment. That flourless cake looks amazing! I so want to live in a house. We need to save quiiite a bit more, but we will look at houses online in the area just to see what's out there. It makes me super anxious/nervous to actually put in an offer somewhere! It's seriously so good, and really easy to make! Congratulation on the Whole 30 completion! What an incredible accomplish that you should totally be proud of! I’ve always been curious about it, but I probably never will actually do it, just because I try to be wary of my disordered past. That Chocolate Espresso Cake sounds AMAZING. I’m going to pin it for future reference! Thanks Julia! I agree that it probably isn't the best idea for you to try it. Keep doing what you're doing! Congrats on making it through your Whole 30!! Bummer about your house, but you are right - the right one will come along! Take your time, it will happen!! Thanks for the encouragement Rachel! How exciting that you're getting along in the home buying process, and that your blogiversary is coming up! We are starting to look at houses; I just emailed a realtor group Sunday. I just got back from my fourth trip to Honduras. My family was super concerned about the zika virus, but I wasn't as concerned since I'm not pregnant. BUT I definitely recommend using a permetherin spray on your clothes. It really helps keeps the mosquitoes away. I didn't get a single bite in the week I was there.